The director of the National Security Agency and members of Congress on Thursday pledged to release more information in the coming week about thwarted terrorist attacks to prove the value of the agency's sweeping surveillance tactics. 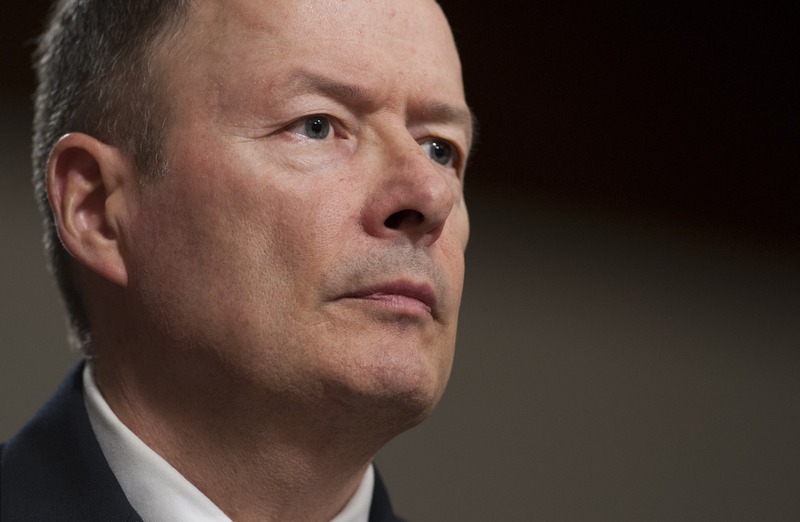 Army Gen. Keith Alexander, the NSA director and head of U.S. Cyber Command, said public officials "owe the American people... some statistics." Once people get that information, he said, they can "take a step back, look at what's going on, the oversight and compliance," and consider the value of the programs. Alexander added that the NSA program that gathers all U.S. phone records from Verizon is "very focused," as sweeping as it sounds. "This is not a program where we are out freewheeling it," he said. House Intelligence Committee chairman Mike Rogers, R-Mich., (shown in the video above) said they're "ratcheting up" the timeline for declassifying information to better inform the public. The congressman bemoaned the misconceptions about the program, emphasizing that the collection of phone data does not include names. "There are no American names in that lockbox," he said. "There are only numbers in that lockbox." After the full Senate received a closed-door briefing, Sen. Bob Corker, R-Tenn. said he "absolutely, no question" felt more comfortable with the surveillance programs. "I can't imagine any U.S. senator sitting through a briefing we just had and not feeling thankful for the efforts NSA and others put forth," he said. "We were given some very specific and helpful information about how these programs have helped keep Americans safe, and it's my sense the American people may have information soon that helps them understand the order of magnitude." While several members of Congress have defended the programs, others take issue with the broad surveillance tactics. Sen. Rand Paul, R-Ky., said Thursday he's exploring avenues through which he could file a lawsuit challenging the constitutionality of the court order that permitted the intelligence gathering. "Americans are rightly concerned about having all of their phone records collected and monitored all of the time," Paul said. Balancing liberty and security is possible, but at this point, "perhaps we are overwhelming ourselves from data," he added. "I believe we are more secure when we narrow our focus and target our suspects," the senator said. The ACLU on Tuesday filed its own lawsuit on the matter. Because the government collected every Verizon record, practically "anyone with a cellphone," as Paul said Thursday, would theoretically have standing in a court challenge. More than 250,000 people have signed up online to join Paul's suit. While Alexander and other executive branch officials have been briefing members of Congress both publicly and privately since news broke of the surveillance programs, House Speaker John Boehner, R-Ohio, said the administration should be doing more to defend the programs. "This program does not target innocent Americans in any way, shape or form," he said to reporters. "I'm a little surprised that the White House hasn't stood up and made clear on an ongoing basis over the last week just how important these programs are." Members of Congress Thursday also expressed concern about the fallout from the public revelations of the programs. "The more we know, the more dangerous this situation becomes," Rogers said, noting that there are "changes we can already see being made by those who wish to do us harm and our allies harm." The fact that Edward Snowden, a 29-year-old systems administrator, was able to obtain all the information he did and then make it public is also troubling, he said. Snowden "had access to pieces of information that he candidly did not understand," Rogers said. "Across the [intelligence community] lots of people are taking a very serious review of their whole operations." Rogers called Snowden a traitor to the United States of America [who] should be punished to the full extent of the law." He also said "there's a lot of questions" about Snowden's decision to go to Hong Kong after leaking the information he had and his decision to communicate with the Chinese press. Rep. Dutch Ruppersberger, D-Calif., the top Democrat on the House Intelligence Committee, added Snowden's decision to go to China "seems unusual." "He's not a hero based on the evidence I have," He said. "We hope that Hong Kong and China will work with us to bring back someone who has broken the law." In a separate press briefing Thursday, House Minority Leader Nancy Pelosi, D-Calif, agreed that Snowden committed a "prosecutable offense, and I think that he should be prosecuted." Pelosi added that Congress should strengthen the Privacy and Civil Liberties Oversight Board, which was created in 2004. "We have to have the balance between liberty and security," she said.